cover & internal artwork by Phil Noto. 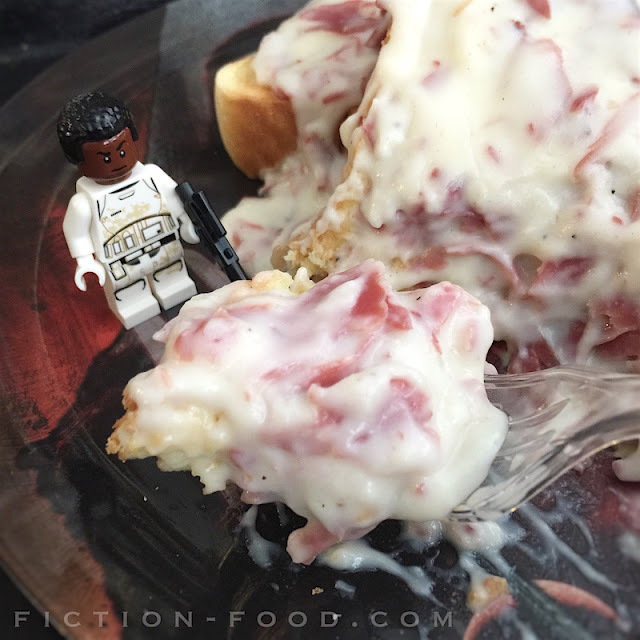 "FN-2187 used the corner of a chunk of mealbread to wipe up the last of the cream on his plate. The meal, like so many others, hadn't been designed for flavor as much as efficiency—slivers of overcooked meat in a numian sauce that tasted more like chalk than anything else. But it was filling and provided energy, and that was the point." 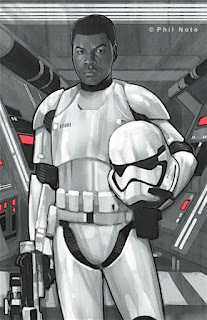 I love that Greg Rucka added this food to Finn's backstory while he (Finn) was still a Stormtrooper living in the barracks because it adds authenticity and more depth to the military situation he, and the other Stormtroopers are in. "Numian cream" with "overcooked meat" has a real world equivalent called creamed chipped beef, a hearty and cost effective food that has a strong connection to the US military, especially during WWII. It was often referred to by service members as $#!+ on a shingle, which Finn echoes in his sentiments in the quote above. I would like to point out though, that this food is in fact delicious, but maybe having it every day, and as a requirement, made it unappetizing after a while. Or maybe it's because the First Order didn't use butter. I can see them doing something like that. 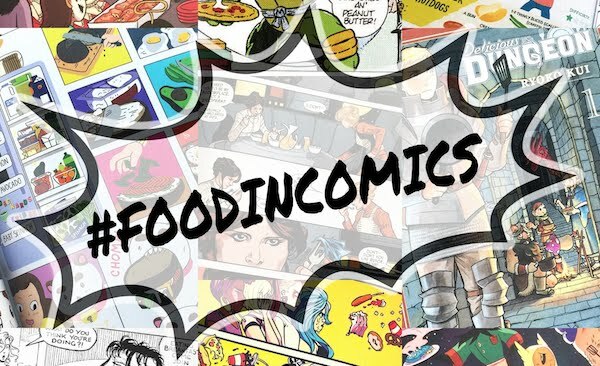 For more food from Before the Awakening by greg Rucka, try Rey's Ghtroc 690 Meal. 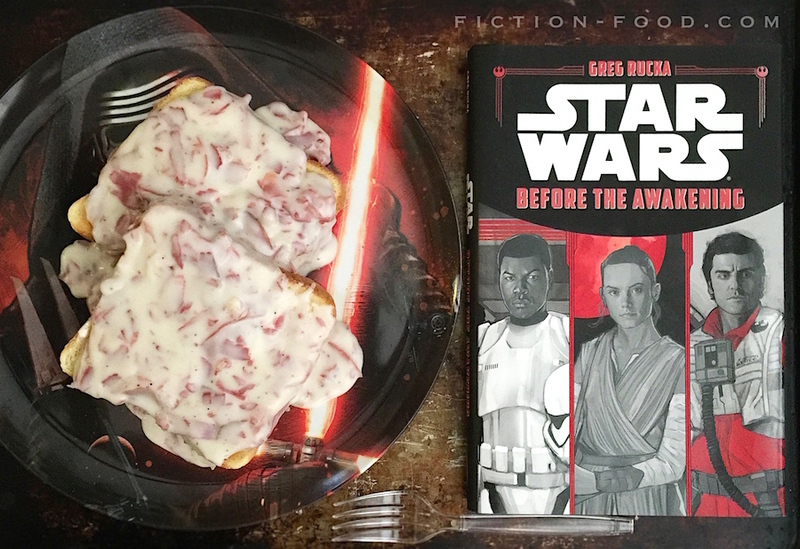 For another Star Wars Reads-inspired food, try my Little Jakku Ration Buns! 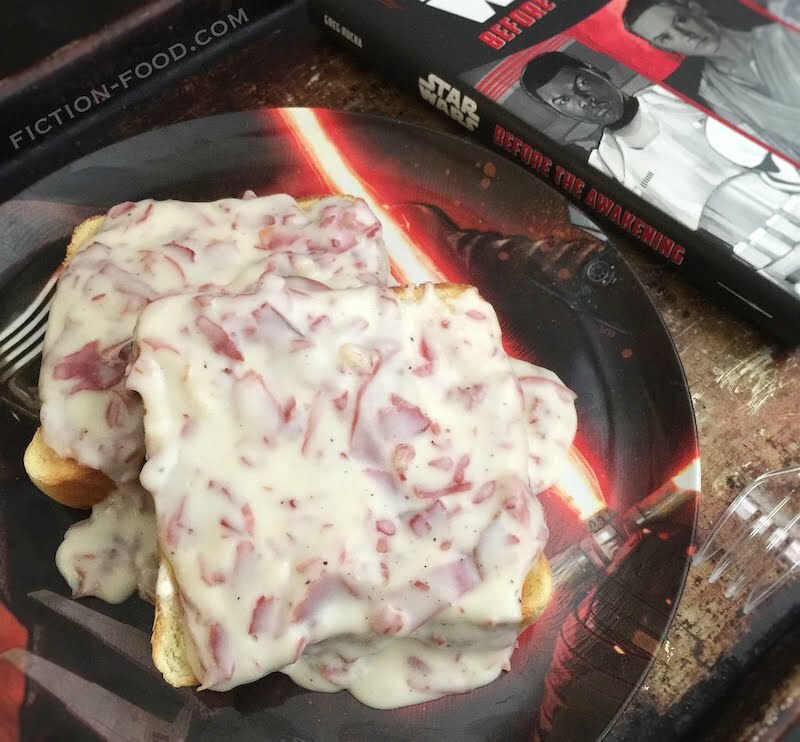 Creamed chipped beef holds a special place for me because I learned how to make it from my grandparents when I was a little kid (I can't remember if it was my grandmother or grandfather that taught me, though my grandfather was in WWII so...). This, and fried spuds (definitely taught to me by my grandfather), were some of my favorite breakfasts growing up. In the cream chipped beef recipe below, the "numian cream" is a milk gravy made from a flour and butter roux, and the "slivers of overcooked meat" are slices of dried and salted beef called "chipped beef". The milk gravy is very versatile, so if you want or need to use something other than chipped beef, you certainly can, such as cooked ground sausage or cooked mushrooms. 1. Melt the butter in a pan over medium heat. Lower the heat & use a silicon whisk to whisk in the flour 1 Tbsp. at a time until smooth. This is the roux base. Gradually pour in the milk, whisking constantly until the roux is thoroughly mixed into the milk & there are no clumps. Return the heat to medium & add pepper to taste (no salt!). Tear apart the chipped beef & stir it into the gravy. Let cook, stirring occasionally, until the gravy thickens slightly. Remove from heat & spoon over bread (I like putting it on buttered toast). Ahh, cream chipped beef takes me back to my dad feeding us kids this some weekends as an easy meal. Having been in the Navy he called it by its more colorful name! It's a great comfort food and I can't wait to try this recipe out instead of buying it frozen.